Read this Letter, and look, and tell aw the poor Folk of your Place, that God has open’d a Door for their Deliverance; for here is ne Scant of Breed here, and if your Sons Samuel and James Boyd was but come here, they wad get mere Money in ane Year for teechin a Letin Skulle . . . . The young Foke in Ereland are aw but a Pack of Couards, for I will tell ye in short, this is a bonny Country, and aw Things grows here that ever I did see grow in Ereland . . .
A few years ago my wife and I decided that where possible we should centre our summer holiday on some cultural event. Accordingly we have visited Vancouver at the time of their Fringe Theatre Festival and Chicago for the Blues Festival. For me however the highlight was our visit to Wilksboro, North Carolina for the Merlefest. This has become an annual event in commemoration of Merle, son of Doc Watson, who tragically died in an accident a couple of decades ago and feeds into our liking for American Folk and Blue Grass music. It was probably only in my twenties or even later that I became aware of how lacking my south Ulster Presbyterian upbringing was in respect of indigenous culture. Perhaps I caught a hint of the culture of my Scottish ancestors on the BBC around Hogmanay or Burns night but no more. The family home was well stocked with books but very little music apart from some rather dull church music. Now I know where my culture went. The Presbyterian emigrants seem to have taken it with them when they left in the eighteenth century. They also took their religion. Wilksboro is a small town with as many different churches as Aughnacloy (where my McWilliam ancestors originated) would have had whisky houses in the 1830s. Apart from my paternal grandmother, born in Dublin to Ulster parents, all the ancestors that I know of back to 1800 were born in south Ulster on either side of a line stretching from Newry (in Counties Down & Armagh) to Ballyshannon (in Co Donegal). Accordingly, although I was aware of Presbyterian emigration to America in the eighteenth century and the more widespread and general emigration from Ireland throughout the nineteenth century, I had never considered emigration as part of the family story. The results of my DNA test radically changed my perception of this. The test identified over 1,000 genetic cousins of varying degrees. Most people who have taken a DNA test are American with a few Canadians and Australians so the vast majority of my new cousins are emigrants. When I examine my genealogy back before 1800 some of the lines simply drop out from lack of information; many of the rest are still in south Ulster. There is however one line that originated further north. This line first appear in the records when Samuel Murrell leased land in Ballyquin townland, Balteagh parish near Newtownlimavady in Co Londonderry from William Conolly in 1700. Emigration is recorded from there early in the 18th century and one of the most famous emigrants from the area was Samuel Hamilton, John Steinbeck’s maternal grandfather, who is memorably described in the latter’s novel, ‘East of Eden’. This emigration and John Steinbeck’s search for the birth place of Samuel Hamilton is described by Bobby Forrest in the second post on the linked message board. My understanding is that East of Eden was originally intended as a family memoir but that Steinbeck subsequently incorporated a fictional element into it. The book is about two families – the Trasks and the Hamiltons. While the former are fictional the Hamiltons are closely based on Steinbeck’s maternal relations. Two of the books themes’ speak very directly to my interests. At its heart it is a modern day reworking of the biblical story of Cain and Able with an interesting linguistic analysis of the story. As someone who grew up in a Presbyterian family where the bible was ever present this approach felt familiar. However as a genealogist, it was Steinbeck’s beautiful description of his grandfather, Samuel Hamilton, that most captivated me. Samuel Hamilton was born in Co Derry about 1830 to a Presbyterian family. My (3x) great grandfather of mine, Rev James Morell, was born 50 years earlier, in a neighbouring parish. If I adapt the words of Christie Moore in ‘Brendan the Navigator’ – “Is it right or left for Gibraltar?” – Samuel Hamilton in the late 1840s turned right and landing in New York kept going till he reached California while James Morell just before 1800 turned left and landed in Ballybay, Co Monaghan and was ordained a Presbyterian minister. He and many of his descendants remained in this area until quite recently. “it’s an old fool of a speech but they say he gives it in a way to break your heart”. At the time I read the book – as a teenager – I’d never heard of Bryan or the Cross of Gold speech but the detail was tucked away in a corner. Recently during an idle moment on the internet I googled it. Bryan, also a Presbyterian and known as the ‘Great Commoner’, was a three time contender for the American presidency for the Democratic party – in 1896, 1900 & 1908 although he was unsuccessful each time. The main plank of his first candidacy was to go off the gold standard. He believed that this measure would loosen up credit and make money available to farmers and businesses in the mid-west. The measure was opposed by the bankers & financiers in the major eastern cities who profited from the tight money supply and of course characterised Bryan as a mad populist who would wreck the economy. William Jennings Bryan was a professional politician not an expert in economics; neither am I! In 1896 I would have voted for Jennings, not on the basis of his economic expertise, but rather because he best reflects my political, social & economic biases. As a former professional geneticist I am perfectly aware that there are other issues on which I would disagree sharply with Bryan. This entry was posted in Scientific musings on February 25, 2015 by petermcwilliam2014. Initially I had linked to two preliminary investigations described in my DNA page which showed some promise. Since then I have acquired some additional information which seems to have undermined (destroyed) the conclusions reached. I have removed the two examples from my DNA page. One of these is now reproduced here followed by a description of the additional conflicting information. Two of my great grandparents, Samuel Clugston & Maggie Kennedy, were married in Tullylish Presbyterian Church in 1874. Their respective siblings, William Clugston & Lizzie Kennedy, were married in the same church in 1868. The baptisms of Samuel, Margaret & Lizzie are recorded in Tullylish Presbyterian Church to John & Margaret Clugston of Lisnafiffy & William and Rachael Kennedy of Lenaderg respectively. However the marriages of neither of the latter couples, which must have taken place before 1845 (when civil registration of non-Catholic marriages commenced) are recorded in these registers. A search in Tullylish & Seapatrick Church of Ireland and in Banbridge Non-subscribing Presbyterian Church also proved negative. This study focuses on an attempt to identify the maiden name of William & Samuel’s mother, Margaret Clugston. There are numerous records linking the Clugstons to the parishes of Tullylish & Seapatrick back at least to the middle of the eighteenth century. A little care is needed since the townland of Lisnafiffy is divided into three moieties with one being in Tullylish & two in Seapatrick. The landlords of the Tullylish moiety & one of the Seapatrick moieties back to the 1660s were the Waring family. In Griffith’s Primary Valuation John Clugston holds two blocks of land totalling 27 acres in Lisnfiffy/Tullylish while Henry Clugston holds 34 acres in Lisnafiffy/Seapatrick. Inspection of the map associated with the Valuation shows that the two farms were in fact contiguous. Robert Clugston held 8 acres in the neighbouring townland of Drumhorc. The landlord in all cases was Henry Waring. John & Margaret Clugston of Lisnafiffy are buried with some of their descendants in Tullylish Presbyterian graveyard. John died in 1878 aged 68; Margaret in 1879 aged 64.Their son Robert died in 1910 aged 63. This is consistent with the assignment of lots 1 & 2 in Lisnafiffy, Tullylish in Griffith’s Primary Valuation to this family since the name of John Clugston is cancelled and replaced by Robert in 1878. More detail on the Kennedy/Clugston families can be seen on my web site under Kennedy of Tullylish. Clugston, John – Lisnafiffy 1769. Clugston, Aaron – Lisnafiffy – 1789. Clugston, Aron – Lisnafiffy – 1819.
and John Clugston of Lisnafiffy is recorded as a householder in Seapatrick in 1760. Other Clugstons are recorded in the neighbouring townland of Kilpike. It is unclear whether these various Clugstons are related or not. Family Tree DNA provides three separate tests for Y-Chromosome (male specific) DNA, for Mitochondria (passed through the female line) and for Autosomes. The latter represent the bulk of an individuals DNA and in principle can detect all matches. Here I describe the use of the latter (Autosomal DNA) test to investigate the Clugston family. Autosomal DNA testing was described to me as a crap shoot with no guarantees. Like any other genealogical investigation the desired information may or may not be present in a given set of results. In other words I did not set out to investigate the Clugston family directly; rather one of my matches appeared to implicate the Clugstons. Figure 1 shows the first page of my results. Tommy was my closest match with an estimated relationship of 2nd-4th cousin. He replied to my e-mail but was unable to identify a common ancestor. I next looked for others in my list of matches who shared the same segment of DNA with Tommy & I (figure 2). and identified a total of five as shown (figure 3). In principle each of these could represent maternal or paternal line matches. Stephen & Susan replied to my e-mail but to date we have not identified a common ancestor; Lynda did not reply. My interaction with Roy proved more successful. 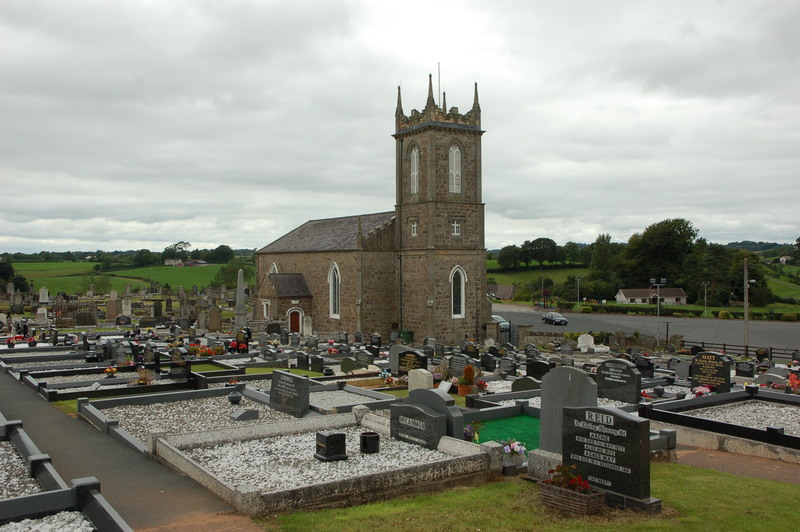 He identified ancestors – Orr & Anderson – associated with the townland of Lisnafiffy in the period 1750 to 1850. This suggestive but in no way conclusive. Maps associated with Griffith’s Valuation show a number of Anderson farms in Lisnafiffy close to the Clugston farms. The baptism of Margaret Anderson 23:10:1815 to John Anderson & Jane McMunn of Kilpike is recorded in 1st Non Subscribing Presbyterian Church (Banbridge). This is the year that the birth (from the Tullylish gravestone) of Margaret Clugston may have taken place. 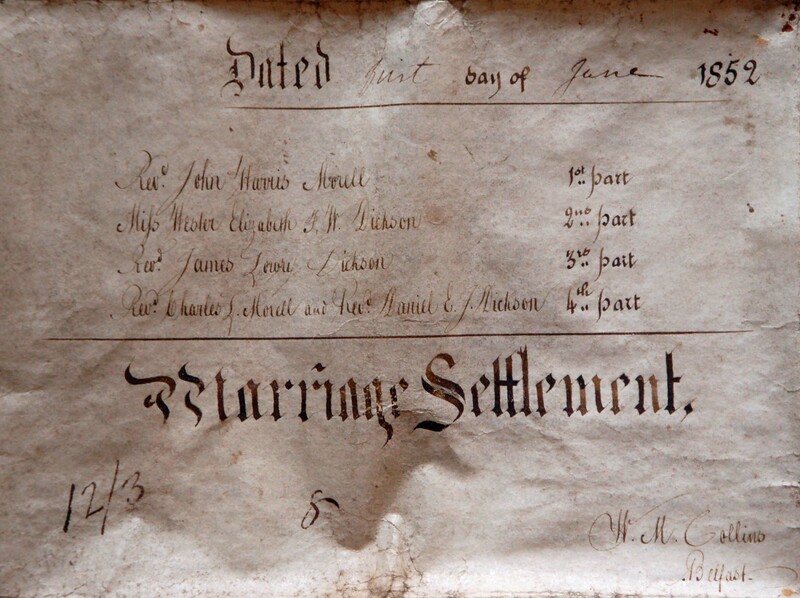 Witnesses of the marriages of William & Samuel Clugston in 1868 & 1874 include John & James Anderson respectively. The above, while suggestive, does not constitute proof. In the absence of a formal paper trail we are again thrown back on DNA. It is possible that one of the other matches identified may yet produce a paper trail leading back to some individual (an Anderson or indeed some other name) associated with Lisnafiffy or a neighbouring townland and provide further evidence. I’ve pushed this line of thought as far as I can. Nominally I’ve been careful to describe the putative match as a pointer rather than a fact. It is however difficult to avoid considering the whole package as almost factual. The only check on my thinking/enthusiasm is hard earned experience in the actual practice of bench science. This is where the scientific method really kicks in. A scientific hypothesis is always provisional; it is always contingent on the next piece of data. This leads me to challenge my inferences with a further experiment (or at least be conscious that further data might challenge my current assumptions). Recently I asked a paternal line cousin to take the Family Finder test. Any matches I have with him are paternal line. He shares my match to Roy ( In fact he had matches to all of the five individuals identified as sharing a match on chromosome 6. ); therefore this is a paternal line match and the DNA link to the Anderson’s of Lisnafiffy (maternal line) vanishes. The genealogical pointers remain and could still be valid; they are no longer supported by DNA evidence. In other words – Back to square one! Update: Recently I noticed that two of the grandchildren of Margaret were given the second name Brown. William and Lizzie Clugston named a son Hugh Brown. Perhaps more significantly John and Rachael Clugston named their eldest daughter Margaret Brown, possibly after her grandmother. This entry was posted in DNA testing on January 26, 2015 by petermcwilliam2014. During my undergraduate course in genetics in the early 1970s, I don’t recall eugenics ever being mentioned. It was the ‘subject that dares not speak its name’. At the time I assumed that it had been a Nazi aberration. It was only more recently that I realised that during the 1901s and 1920s the subject was mainstream. Virtually all geneticists were eugenicists. It was widely commented on by the mainstream media and its influence spread to economics and politics. There were close ties between American eugenicists & philanthropists and scientists in Germany. In the following series of posts I want to combine my knowledge of genetics with the perspective of a genealogist to illustrate some aspects of the subject from a personal and family perspective. I have some records kept by my father, starting in the 1930s. The first entry in his fishing diary was in March 1932, while it appears that he started keeping records of his shooting from October, 1931. 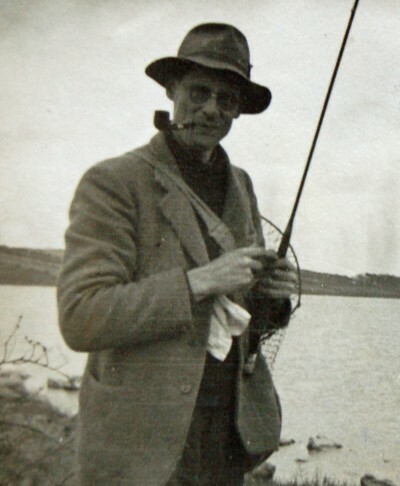 The shooting appears to have stopped around 1940 but he continued to make systematic entries into the fishing diary right up till his death in 1989. He also kept a personal diary intermittently from 1931 to 1936. Together these documents give the impression of a fresh start being made. The first entry in the personal diary reads “Started golf again after exactly two years”. These words conceal what must have been a deeply traumatic period for himself and his family. As I understand it he had contracted TB which resulted in him developing curvature of the spine. This was treated with a bone graft from his hip. I believe it was the first operation of its kind in the country. Certainly during the course of his final illness he reported with relish his consultant inviting his team to examine the scar and speculate on the cause. I presume he avoided a more serious infection of the lungs and made virtually a complete recovery. 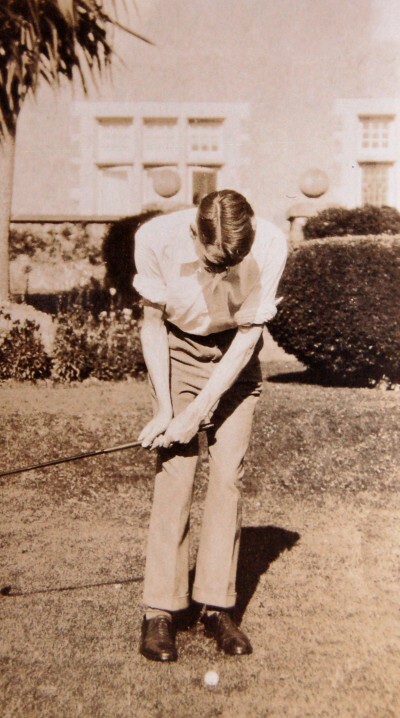 Fortunately he was virtually ambidextrous because subsequently he had to play tennis and badminton left handed. It doesn’t appear to have affected his golf and he was able to fish with either hand – a useful skill in the small, tree lined rivers of Monaghan. Less usefully during his recovery, which necessitated a period of six months lying on his back, he claimed to have learned to knit – a skill which I never saw him display. For me the story was something that had happened but which I didn’t think much about. By my childhood antibiotics had rendered TB relatively treatable. It was only when I started researching the family history that the true impact became clear. Throughout the nineteenth century the genealogical records show the toll the disease exacted on young adults in my immediate family. The death certificate of my father’s grandmother, Hessie Morell/McWilliam, shows that she died, aged 32, of phthisis – an old name for TB of the lungs. The death certificates of two brothers of her husband, William McWilliam, show that they died of the same disease at about the same age. Perhaps most poignantly Thomas, the writer of the letter quoted in my previous post, is the first name on the McWilliam gravestone in Coolshannagh graveyard in Monaghan. He died in 1881 aged 30. In this letter he gives acute pen-pictures of his siblings including the two brothers who had recently died. However in keeping with his age about half the letter is devoted to affairs of the heart. At least two of Hessie’s sisters and her brother died young, possibly from the same cause. In the Morell family in the previous generation there were also several deaths of young adults and in a diary kept by Hessie’s grandfather, Rev James Morell, he describes one of his sons, Edward as coughing blood. My father’s diagnosis must have been a hammer blow for his parents. Perhaps fortunately his grandfather, William, had died two years previously, saving him from contemplating the possible death of his eldest grandson. From the point of view of our family this was a story with a happy ending. TB, in the circles we move in has largely been eradicated. It is perhaps fortunate that the family was of a certain class and living in a Catholic country at the time. Others with a similar medical history but in a different place and social class were not so fortunate. DNA testing is being sold as an important new technique for family genealogy providing the potential to get past those troublesome blocks where the conventional paper trail has gone missing or been destroyed. Now it is true that (like political careers) all genealogical lineages end in failure but genealogists (like all true obsessives & politicians) would like to delay this inevitable moment so any additional technique that might extend a lineage back a further generation or so merits consideration. For a long time I resisted the temptation to engage with the subject – not because I was intimidated; quite the reverse. If I include undergraduate and postgraduate studies I spent about 30 years actively involved in genetics. I left it over a decade ago and while I had enjoyed my time it was very much a case of ‘been there, got the tee-shirt’. Still I can resist everything except temptation so about a year or so ago I succumbed and purchased the full range of genetics tests. In the following series of posts I plan to track my progress as I try to make sense of my autosomal DNA test data. At the moment I can claim no firm matches or conclusions. However I hope I can offer an exploration of the possibilities. As currently operated Y gives information about deep origins and since it follows the male line (& surname) it has quite a narrow focus. Mitochondrial DNA is relatively stable over many generations and is not particularly useful in conventional genealogy. In this piece I don’t intent to dwell on these but rather confine my remarks to Autosomal DNA testing since this is the technique that has the most potential to provide pointers in the period back to about 1750 which is the time frame of most interest to family genealogists. Family Tree DNA family match identifies common blocks of DNA between related individuals who have taken their test. Although subject to random statistical variations in general the more DNA the subjects have in common the more closely they are related. Initially I expected to identify common ancestors with my matches. In fact I didn’t and while this is possible, on reflection I realised that this is not where the test is most useful. The internet through the use of various forums has made it possible for individuals who share a common ancestor to connect. ” Willie, as you are probably aware, is studying law, and he’s a right smart, shrewd fellow, sure to make money if he lives, and equally sure to fight with at least half of his intimate acquaintances. No man could be more good natured but he is most awfully unreasonable and hot headed, without one particle of philosophy in his composition. He and I were brought up together, and I believe I know and like him better than any other member of the family can. He is much too sensitive, taking far too serious a view of trifles; and I have often reasoned with him on these points for hours, but generally without success. He’d rage and vex himself for a day over a thing never meant to annoy him, swearing all the time like a trooper, yet he would never hurt even a fly . I knew that John Richardson McWilliam, the elder brother of my great grandfather, William, emigrated to Australia about 1853 so when I came across an internet message looking for information about their father, Rev Thomas McWilliams, the Presbyterian minister in Creggan parish, south Armagh I immediately, and as it turned out correctly, assumed that the message was posted by one of his descendants. As a result of this contact I was given a copy of a letter sent to John by a third brother, Thomas, from Omagh to Australia in 1873 from which the quote at the top of this post, relating to my great grandfather, William, was extracted. It certainly provides a more intimate and probably more accurate assessment of character than a laudatory obituary. Where a paper trail already exists DNA testing is superfluous though extremely useful as confirmation. Now if I identified a common ancestor with a match in the test I would of course follow it up and based on my internet experience I might hope that the contact would prove rewarding but this is not what I expect to use the various tests for. Problems encountered in Irish (& other) genealogy. At least in baptismal registers the mother’s first name is given. My particular strategy was, rather than look for common names with my matches, I looked for common places. In one instance my match & I each had ancestors who had lived in the townland of Lisnafiffy, Tullylish parish, Co Down; in another the common place was the town of Dungannon, Co Tyrone where my mother grew up; in a third the townland of Lisnalee in Loughgilly parish, Co Armagh was implicated. It can be difficult to link families of emigrants back to families in Ireland. The earliest records for many such families may be a census record stating ‘born in Ireland’ but without a precise location. In such cases a match to an ancestor in Ireland who is associated with a specific townland might provide the vital clue. This may also be useful even when emigration is not an issue. My 2x great grandfather, William McCulla, is first described in the announcement of his marriage in a Newry newspaper but no further information about him is given. The name is not uncommon in north Louth, south Down & south Armagh but unless a DNA match provides a clue it seems unlikely that I will be able to identify his parents or other family. In the case of adoptees it may well be that DNA testing offers the only hope identifying family. In my own family the case of one of my maternal great grandfathers, Thomas Charles, offers an interesting problem. In his marriage certificate he gives his father as Henry Charles. MD. However the only Dr Henry Charles recorded in the medical register lived in Cookstown and his obituary in 1873 mentioned the death of his only son – clearly not my great grandfather who described being brought up by an uncle. From the names given it would appear that this was DR DH Charles also from Cookstown, who was a brother of Dr Henry Charles. 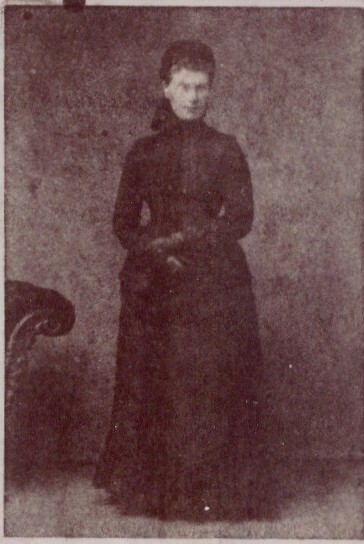 Inspection of the Derryloran Church of Ireland registers showed that Margaret Cheevers had two children in the 1860s, father, Dr Henry Charles (as alleged). My great grandfather was born about 1858 and no record of his birth appears. Was he another child of Margaret Cheevers or some other unnamed woman? Was his father really Dr Henry Charles? I suspect that DNA analysis is the only way that this issue might be resolved. Traditional genealogical research requires Identification and access to the relevant sources. Exploitation of DNA matches requires, in addition, cooperation between two or more individuals to identify the common ancestor. In particular careful sharing of genealogical material, evidence and sources is essential but not always forthcoming. Many emigrant genealogies end with a census return naming an individual as having been ‘born in Ireland’. Identifying the common ancestor with a match in such circumstances directly may well be impossible. Unless the match can come up with some additional clues to pin point a location, the resolution of such a block will depend on the identification of additional common matches. Family Tree family match gives a relationship range for each match. Due to the nature of the test these relationships can only be estimates. 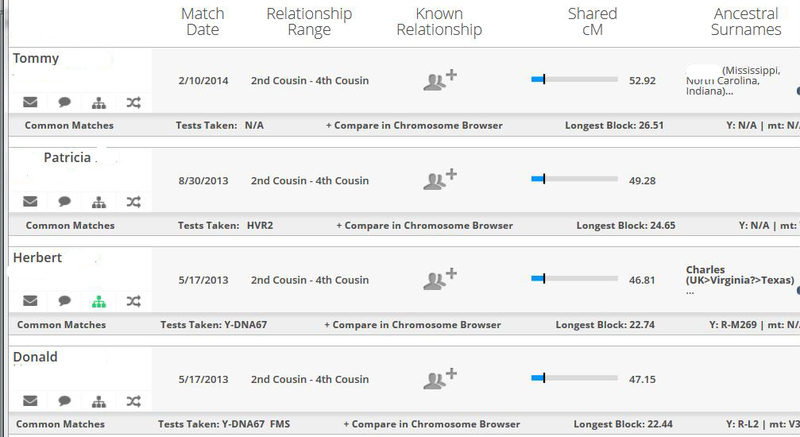 It estimates that the closest series of matches identified in my test are 2nd-4th cousins. Since I know my genealogy quite well back to my 2x great grandparents I should be able to find a common ancestor for any 2nd or 3rd cousins. The fact that I don’t suggests to me that the Family Tree relationship estimates are too generous ie. 2nd-4th cousins should probably be 3rd-5th cousins. Many of the individuals who have taken the family tree test seem to live in the US, Canada & Australia, while I would expect many of my distant cousins to have remained in Ireland or the UK where as yet DNA testing is less prevalent. 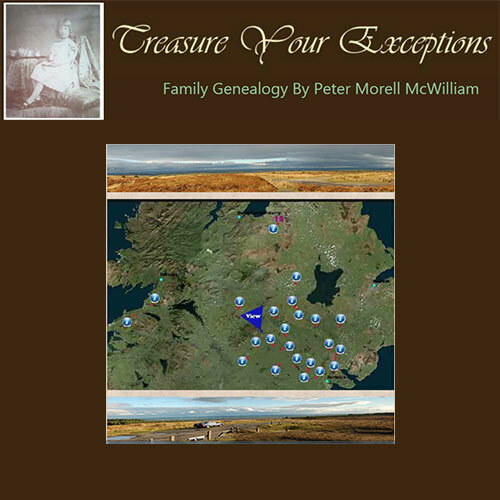 Extending many Irish family trees back beyond the first half of the nineteenth century can often present difficulties. This is partly due to the destruction of civil records in 1922. In addition few church records extend back beyond 1800. While DNA studies may well prove useful in tackling this problem in the future, it is not yet clear that the potential has been realised. This entry was posted in DNA testing on October 6, 2014 by petermcwilliam2014.